Oxbow is committed to engaging with our communities and stakeholders. We believe the best way to build healthy communities is by developing an attitude of service and commitment. This shared belief is the reason our company employees take an active role in contributing to the health and welfare of the communities where they live, work and play. Our company and employees volunteer countless hours and contribute financial assistance every year to support numerous organizations, including schools, hospitals, and first responders. 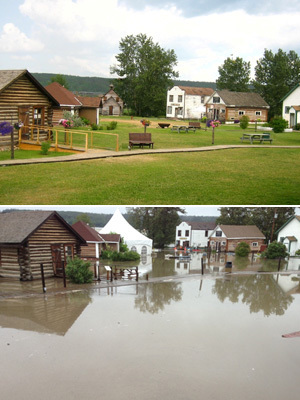 Following the 2013 floods, Oxbow donated funds to help in the cleanup efforts and restoration of the Fort McMurray Heritage Park Museum. Oxbow believes it is our responsibility to help improve the communities where our employees live and work. Oxbow will continue to build relationships and engage with stakeholders throughout the Project. Refer to this page for future updates regarding public information sessions.